I whipped this soup up on a whim with ingredients that I had on hand. 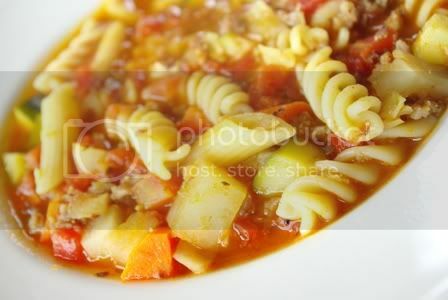 That is the beauty of soup, you can add and subtract ingredients and still get a great result. When I opened my refrigerator today before lunch I had one cup of cooked multi grain pasta, some random veggies and Italian sausage. One half hour later I ca up with a flavorful, healthy, vegetable soup. Here is the recipe, but feel free to make it your own with ingredients that you have. Cook sausage in a medium sized saucepan, if there is an excess of grease, drain it. Add stock, canned tomatoes (with juice), and veggies. Simmer until vegetables are tender. If you have cooked the pasta ahead, add it then cook for another five minutes. 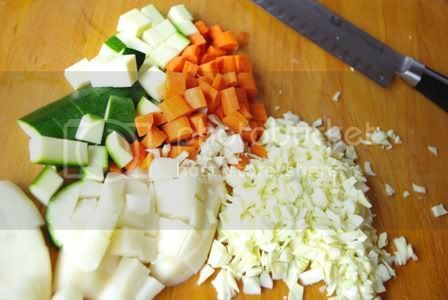 If you would like, add the uncooked pasta in with the veggies and simmer until all are tender. Season to taste. 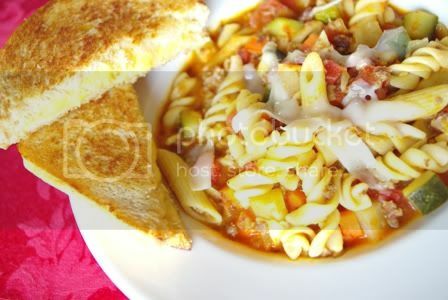 With snow coming down and winters chill settling in to stay, I think of comfort food. Recipes that my mom used to cook on snowdays when we came in from sledding. 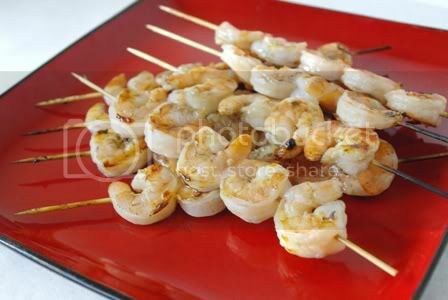 Food that is flavorful, yet simple and brings together the family. Meatloaf is one of those main dishes for me. It is neither fancy, or exciting- but somehow meatloaf just works. This recipe for meatloaf comes from my cookbook Celebrating Simplicity. I was inspired to break out this recipe by my new friend Claire. 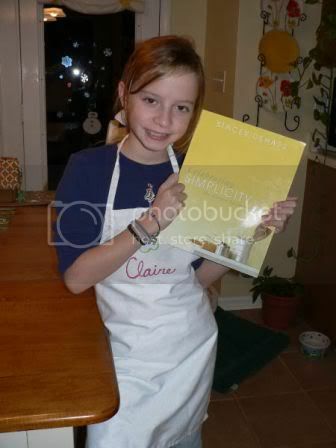 Claire is 11 (or so I am told) and received my cookbook as a Christmas gift. Her family was nice enough to send some pictures my way. The most interesting thing here is that I think I was just like her at age 11! For Christmas at that age my mom gave me a chef coat with my name written in puffy paint. 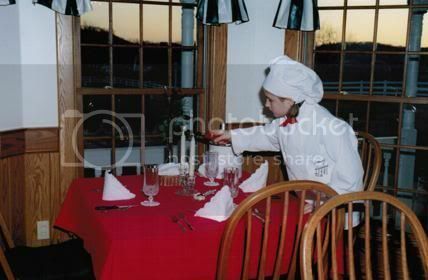 That year I began cooking dinner parties for my parents and their friends. I remember the menu of my first dinner party like it was yesterday! Here I am setting the mood for my little party! 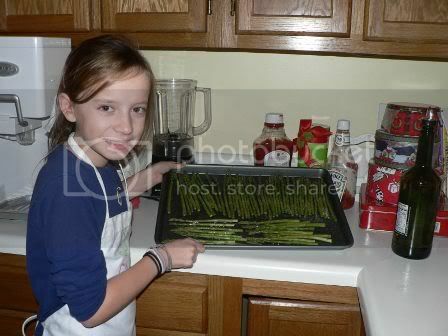 Seeing these pictures of Claire brought back fond memories of that time for me. 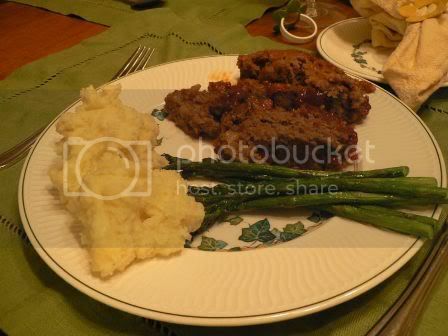 So, thanks Claire for giving me a walk down memory lane and for inspiring me to dust off my recipe for meatloaf and enjoy some comfort food!– and thanks to my Aunt Marsha for sending the pics! 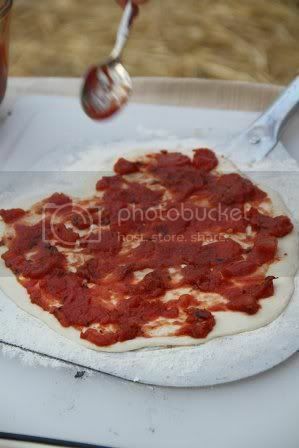 In a small saucepan, combine ketchup, pepper jelly, vinegar and brown sugar. Simmer mixture on low for at least ½ an hour, stirring frequently. 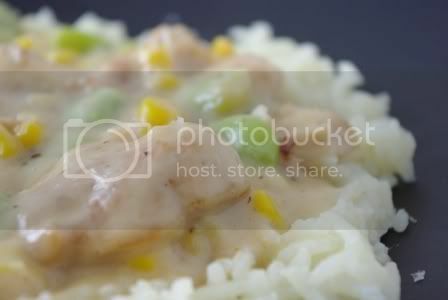 The sauce will darken in color and thicken slightly. 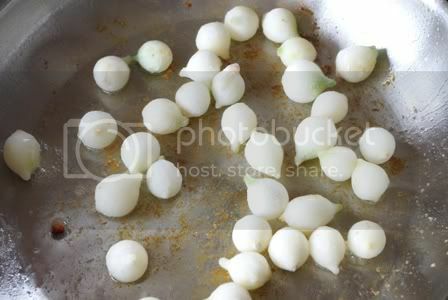 Sauté onions in a small sauté pan with olive oil on medium heat, until translucent. In a medium mixing bowl combine ground beef, sautéed onions, garlic, Worcestershire sauce, egg and bread crumbs. Mix the meat ingredients with your hands, until well combined. 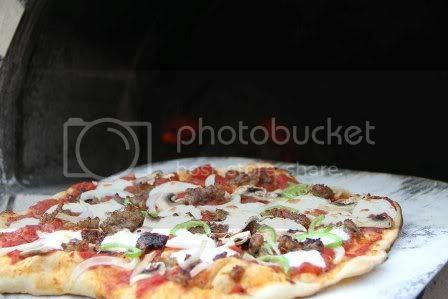 Press meat mixture into a greased medium sized baking dish. Be sure to press tightly so the meatloaf does not dry out and cooks evenly. Bake meatloaf at 350 degrees for 15 minutes. After 15 minutes, spoon sauce over meatloaf and bake for another 5 minutes. Slice and serve. This time of year I am conflicted by one big question…. Stuffing or Dressing? My southern family calls a blend of bread, eggs, cream and seasonings –stuffing. The yankees up here in Ohio (and the Amish) call it dressing. When faced with this question I have a few choices- conform to northern standards, stick to my southern roots– Or, change the name all together to a fancier sounding appealing title. 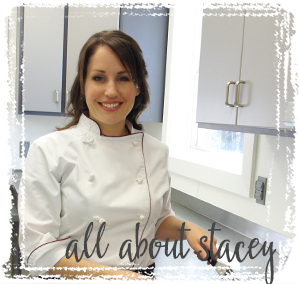 I decided to change the name and I am slowing training the people in my close family to call it the same. Maybe it will catch on…. 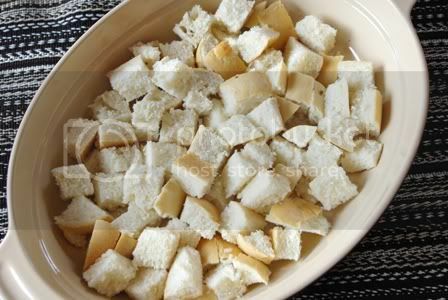 Cut bread into 1 inch cubes. It is good to use a hearty, but not crusty bread. Sourdough is great for an added flavor. 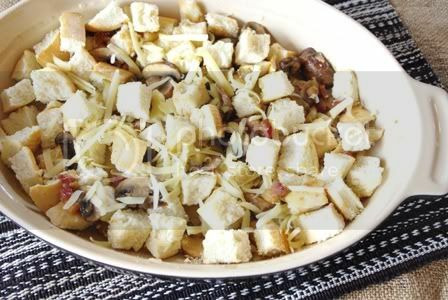 Place bread cubes into a casserole dish. Bake at 300 degrees for 20 minutes- stirring at ten minutes. Remove from oven and allow to cool. In a medium sauté pan, over low heat cook bacon until browned- but not crispy. Remove bacon from pan, reserving the grease in the pan. 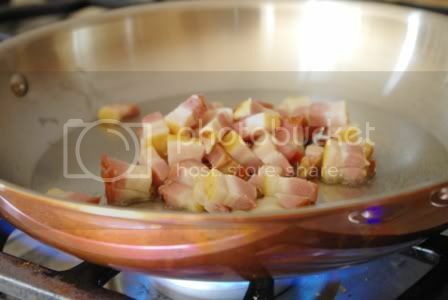 Take a look at that bacon sizzling in my new copper saute pan! Thanks to my husband and his creative birthday buying I now know the advantages of copper cookware! 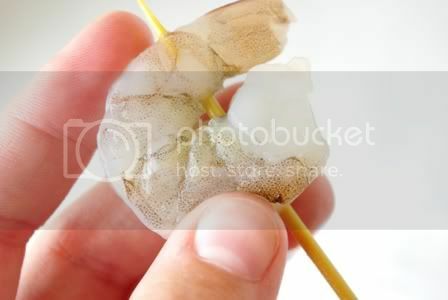 Add pearl onions directly to the pan. Sauté over medium heat. 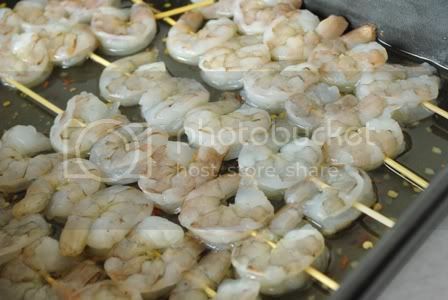 Add a dash of water to the pan to accelerate the caramelizing process, each time the water cooks down- add more. Continue this process until the onions have a nice caramel coating. Add butter to the pan then stir in mushrooms and cooked bacon. 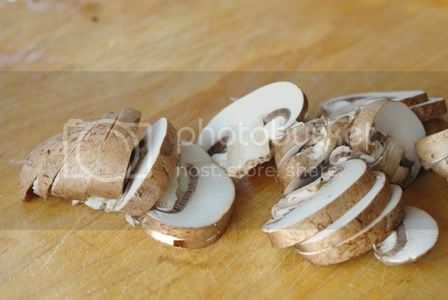 Allow to cook until mushrooms are nearly tender. 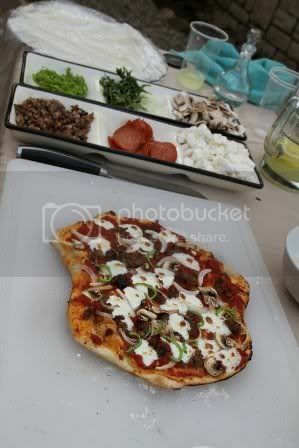 Cool this mixture slightly, then mix in with bread cubes. 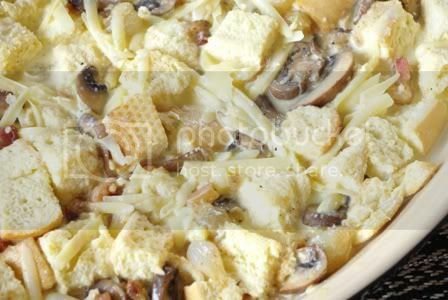 Add ½ cup of Swiss cheese to the casserole mix. Combine eggs and ½ & ½ with seasonings and whisk until well blended. Pour mixture over casserole and top with remaining Swiss cheese. Refrigerate for at least 4 hours- or overnight. Bring chilled casserole to room temperature before baking for best results. 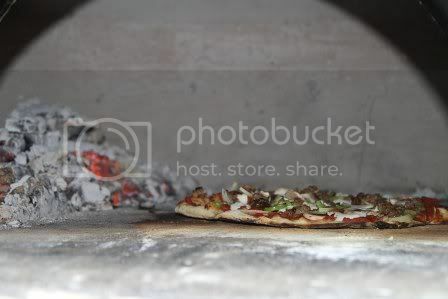 Bake at 325 degrees for 30-40 minutes. 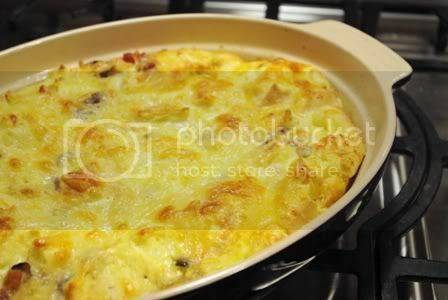 The cheese should be browned and the center of the casserole should be set. Check me out on NBC Channel 3 Cleveland. Also check out the recipe for Butternut Squash and Pototo Soup below. Move the player ahead to 12:31 seconds to watch my clip. This simple recipe is a great meal for a brisk fall night. You can add and subtract all sorts of seasonal items to make this cream soup versatile. 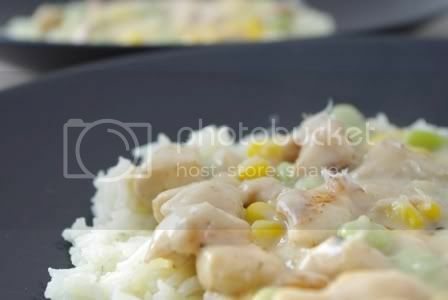 Instead of potatoes and squash try: corn and peppers, broccoli and cheese, chicken and sweet potatoes. 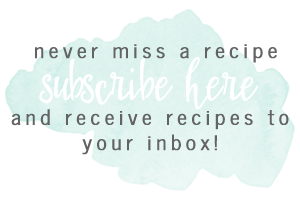 The possibilities are really up to what you like, and what you have in your pantry! In a medium size stock pot, fry bacon over low heat until browned but not crisp—bacon continues to cook after it is removed from the heat. Separate bacon from grease- discarding the grease and reserving the bacon for later. In the same pot melt butter and add onions to sauté over low heat. Continue to cook onions until they are golden brown. 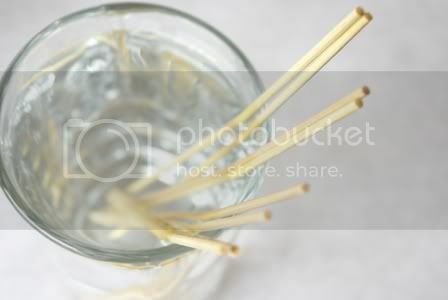 Stir frequently so they do not overcook. Add flour to butter and onion mixture. 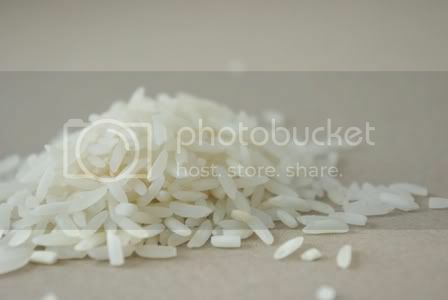 Cook for one minute, stirring constantly. This will be your roux- which will thicken the soup. Stir in chicken stock, potatoes and squash. Simmer until the veggies are tender, but not mushy. When veggies are tender add cheese and allow to cook over low heat until melted. Add milk, simmer for 3 minutes then season to taste and add herbs. Pierogi… pierogis? Not sure the proper plural for pierogi but I know one thing… anything filled with potato, fried in butter and dunked in sour cream is good for me! I decided to tackle making homemade pierogi, and boy am I glad I did. They were somewhat time consuming, but I wouldn’t call them difficult. 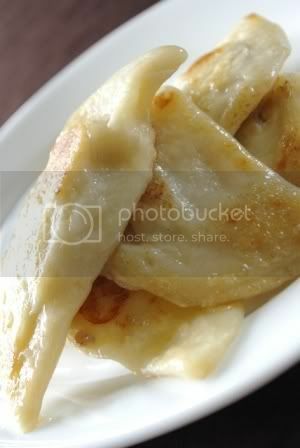 The pierogi dough was the softest, easiest dough that I have worked with. These little dumplings are great for a full meal, or make great appetizers for a party. Give them a try when you have a little spare prep time- turn up some tunes and roll some pierogi. You won’t regret it. 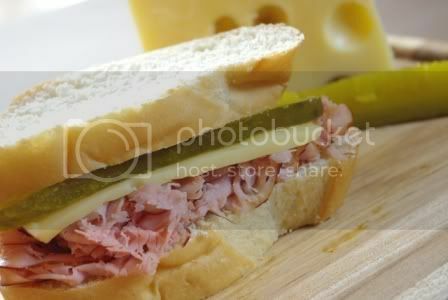 Any ideas what can make this chopped ham, swiss and dill pickle sandwich even better? Why, dunk it in egg and fry it in butter of course! The flavor of a ham sandwich with pickle is hard to beat, but add some French toast action and it is incredible! This sandwich truly requires no recipes, but is much more impressive than cold cuts on a summer day. Simply build your sandwich as you normally would. Mine consisted of: chopped honey ham, swiss cheese (made by my wonderful husband at his families cheese factory!) dill pickle and spicy brown mustard. I stacked all of this on thick sliced Italian bread. The key is to use a bread hearty enough to withstand the dunking. Once your sandwich is constructed simply dip each bread side in seasoned egg with a touch of milk, salt and pepper. Cook much like you would French Toast, over low heat with enough butter to coat the pan. Brown each side and serve right out of the pan! There was a time that I thought nothing could beat a good old BLT on a hot summer day. That was yesterday. Today however, I know now that nothing beats a BLT with an amazing crab cake added to the mix! The prep for these cakes is super easy, and doesn’t add much time to making normal BLT. Give them a shot and you may start loving the CBLT!